The Trident Seafood Security Project is going very well. The wiring has been completed and we completing installation of the hardware on the access and surveillance systems. We recently powered up and programmed part of the access control system and have the badge design, creation, and printing underway. Things are really taking shape and everyone is excited as we near completion of the systems. 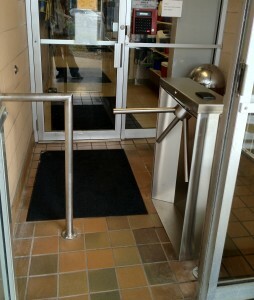 We recently installed a custom designed and fabricated access turnstile. This will regulate employees as they enter production of the facility. Knowing who is in the facility at all times is critical to the integrity of the food product and the safety of the employees. 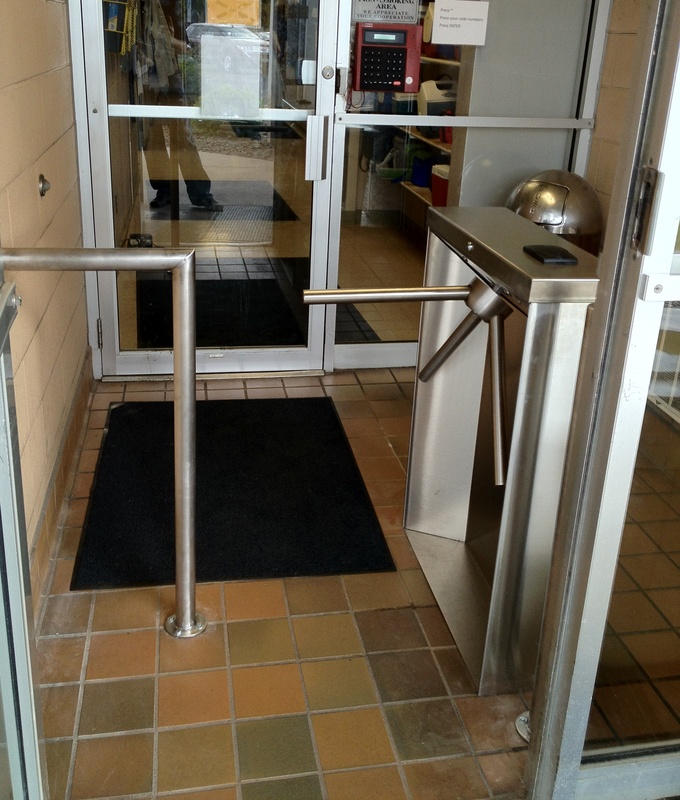 The access system is by Keri Access and is custom built with Mercury firmware and software to allow for the custom programmable features required for this installation. Since there are a variety of door types throughout the facility, all of the locking hardware required custom installation. There is nothing cookie cutter about this project. Many of the interior and exterior cameras are installed and running. The image views are amazing on the new equipment by Nuvico. We will be installing the advanced view cameras throughout the production areas over the next week. Midwest Security and Fire, Inc. is located in Brainerd, MN and serves the entire Central and Northern Minnesota region, including the Twin Cities of Minneapolis and St. Paul. Copyright © 2014 Brainerd MN Security and Home Safety. All Rights Reserved.